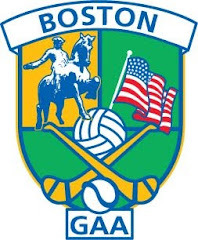 Suppose the Boston North East Board had to put out a football team to face a county team from Ireland, who would the first 15 be? Who else would you have in the squad? Using home based players from 2008 who would you pick and in what positions? How would they do against the likes of a Leitrim or Sligo, assuming that you would have a committed panel for training and can get a few reasonable competitive games in? Center Forward: M. McStravog (Armagh-ND). Also in Squad: S. McGettigan, S. McGill (McAnespies), D. McGill (Armagh-ND), K. Cox (Connemara Gaels), T. Walsh, D. Redmond (Galway), B. O'Connor (Kerry), D. Kenneally, J. Kenneally (Christopher's/NE Celtics), J. Farrell, K. Gorham (Wolfe Tones), S. Morley, K. Kileen (Shannon Blues), D. O'Malley, G. Toner (Mayo).